Christian Svensson, COO of Six Foot, told Game Informer that employees were told back in August of upcoming changes to the company and that “the games team was given the option to stay on and continue working or begin searching for other opportunities with the full support of the company and the aid of our staffing team, while still receiving pay in the interim.” On October 18, Six Foot announced the unfortunate layoff of approximately one third of the game development team. 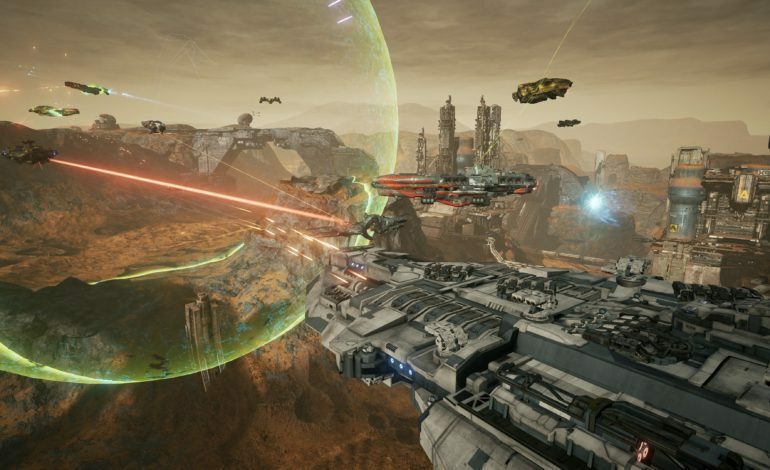 While this is a drastic step for any company to take, Svensson stated that they “remain committed to Dreadnought‘s ongoing development, growth, and the pursuit of new projects.” Dreadnought is a tactical space armada game that puts the player in charge of a fleet during galactic warfare. The ships’ appearances and classes are highly customizable and victory depends upon team based strategies. The game was originally released in 2017 for the PlayStation 4 and PC with mild success. It’s unclear the exact reason behind the company’s announced money problems, but a late release of Dreadnought could have been part of it along with its lack of anticipated sales. Game Informer quotes a source that claimed that “[p]aying everyone in general costs about $80,000 a day. The game has not made anywhere near that; I do not recall the exact number, but it was less than $20,000 a day.” If Dreadnought were to ever achieve higher sale numbers, employees may be given the option to accept a rehire offer. Delays are costly events for game developers who are constantly under time restrictions. Unfortunately, delays and other decisions led to a third of Six Foot gaming employees losing their jobs.